There’s a mystery to solve! Today Hasbro, Inc. (NASDAQ: HAS) and IDW Publishing (OTCQX: IDWM) have announced that this June, Mr. Boddy will turn up dead in the pages of CLUE, a brand new comic series inspired by Hasbro’s classic game. 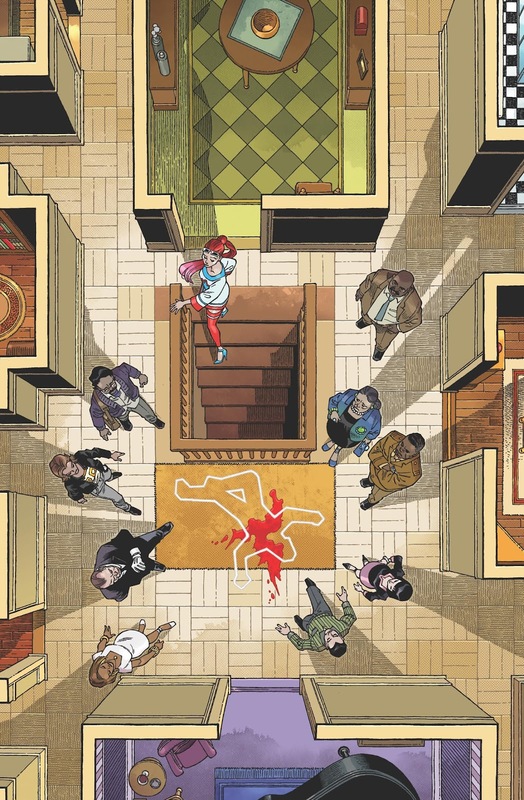 The internationally renowned murder mystery game has already inspired a major motion picture and forthcoming stage production, and now fans will have the chance to follow the adventures of Miss Scarlet, Colonel Mustard, Mrs. Peacock, Professor Plum and other classic characters in a 5-issue comic series from IDW under license from Hasbro. The new series marks the latest collaboration between Hasbro and IDW Publishing, who have a long-standing relationship that has resulted in countless iconic characters gracing the pages of popular comic books, including TRANSFORMERS and MY LITTLE PONY. Putting a comedic spin on the classic Clue concept, Paul Allor (Guardians of the Galaxy, G.I. JOE) will be writing the series, joined by artist Nelson Dániel (Dungeons & Dragons, The Cape). "I am incredibly excited to be working on this project, especially with an artist as talented as Nelson Dániel,” said Allor. “In the grand tradition of the Clue franchise, we're crafting a fun, exciting and at times completely bonkers story that will keep people guessing until the very end! I truly can't wait for comics readers to step into the mansion and find out just what we have in store for them." The new series opens after the doomed Mr. Boddy is murdered at his own dinner party and everyone is a suspect! Will Boddy’s body be the last to fall, or is it just the beginning? Readers will have to follow the clues to solve the mystery, which deepens even further as issue one will feature three alternate endings! Depending on which variant cover comic book sleuths pick up, a unique conclusion unfolds. Is it a clue, or a red herring? Readers can collect all the variants (and clues), as well as the main cover by Eisner award-winning artist Gabriel Rodriguez, this June to find out!